Africa University’s Institute of Peace, Leadership and Governance has urged civil society groups to be visible in rural areas during the election period to protect villagers from intimidation by the army personnel and traditional leaders. In an interview with 263Chat on the sidelines of the ‘Dealing With Red Flags Around 2018 Elections’ meeting organised by the Youth and Empowerment and Transformation Trust (YETT), Institute of Peace, Leadership and Governance Director, Dr Solomon Mungure hinted that there is no peace in rural areas. “What we see today is that we have got people speaking about peace but in practice the day to day peace that is required at the village level is not evident and that is the frustration that our mother and fathers in the villagers are struggling with. “We speak about this Harare peace but there is no peace in rural areas and that’s what matters for our grand parents and that is what civil societies should do to raise the protection level that villagers require to ensure that if something happens,there is someone to report to. “So we need local visibility of civil societies who can respond to the urgent matters that could be confronting villagers so as to deliver a credible and fair election because people will be feeling safe,” said Mungure. He added that the military will be deployed in rural areas in different forms including uniformed forces, civilian plain clothes military personnel and many others. “If the military is to be found in communities, they are going to be found in different forms in terms of uniformed forces, civilian plain clothes military personnel even their lorries. “That will be enough to revive the 2008 type of history and the other past history that we have heard,if one wants to be analytic about the military presence,lets not think about the uniformed forces only because they are very visible. “They will participate in small activities like participating in political activities, and the presence of the military in the ZANU PF structures clearly sends a signal between the two,” said Mungure. President Emmerson Mnangagwa has assured the country and the rest of the world that Zimbabwe will have peaceful elections and has gone a step further to invite even previously hostile countries including Britain and United States of America to come and observe the forthcoming polls. This is despite the fact that opposition have repeatedly complained over the deployment of military personnel in rural areas to campaign for the ruling party. 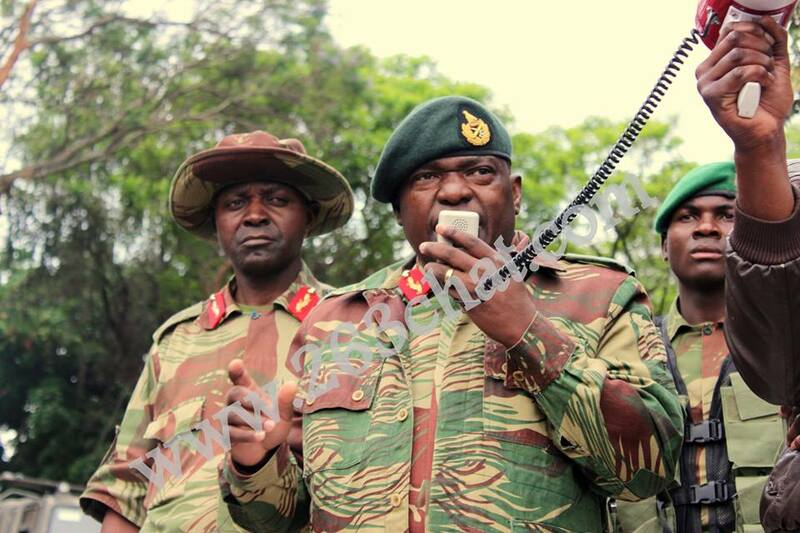 According to National Patriotic Front President Ambrose Mutinhiri, there are over 5000 military personnel in rural areas deployed as boys on leave.